Currently, the world is captivated by the one of the biggest tournaments held around the world. The World Cup is brings everyone together. People from 32 different nations unite to watch their fellow countrymen represent them on the soccer field in hope of soccer glory. For those that aren't big on soccer (globally known as football) fear not, as next year there will be something different for you to enjoy. Come August 2019, the 2019 FIBA Basketball World Cup will be tipping off for basketball enthusiasts from 32 different countries. A year later, the same team could represent their nation in the 2020 Summer Olympics. 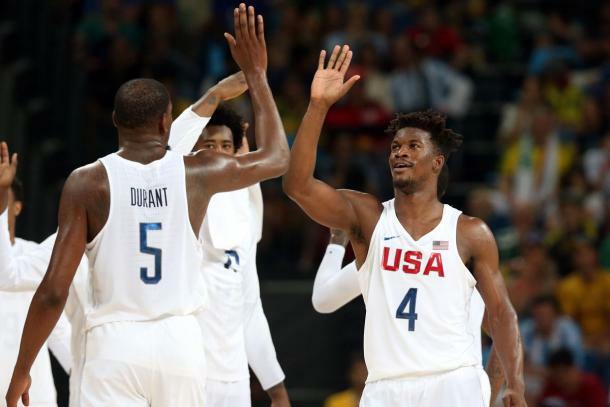 The United States Basketball team is regarded as one of the best, if not the best, team in all of the world. 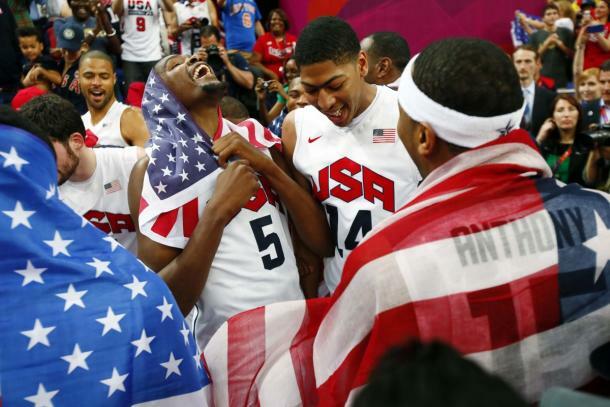 Back in 2014, USA Basketball won the FIBA World Cup, defeating Serbia 129-92. In 2016, the USA team took the gold medal in Rio. In the spirit of the FIFA World Cup, here is an early look at what the 2019 United States team could look like. There are too many talent guards in the pool that the USA can choose from. With that being said, Stephen Curry, Chris Paul and Klay Thompson could sit this one out. Returning guards include Jimmy Butler, James Harden and Kyrie Irving. All three of these men are great floor generals and could carry the USA team to victory. They would be great mentors for the new guards coming into the USA basketball family. John Wall and Bradley Beal are great options to replace the veterans that could sit out the summer games. They have had great careers thus far in Washington and be enticed with the thought of adding a gold medal to their resume. Victor Oladipo is finally earning the respect that he deserves. If he continues to play at a high level, he could earn a spot on the prestigious USA basketball team. Like Wall and Beal, he comes with no Olympic experience but, would be a great addition to the team. Devin Booker would be the youngest addition to the roster. He carved his name into the records books in record time. The 21-year-old is coming into just his fourth year in the league and is on his way to becoming a star in this league. With his age on his side, he could appear on the the USA roster for years to come. LeBron James is listed in the pool, but after the Olympic career he turned in, he has nothing more to prove and he could rest summer of 2019. Carmelo Anthony is also not likely to suit up. He too turned in a fine Olympic career and his age (turns 35 in 2019) may play against him. Besides ​Kawhi Leonard and Gordon Hayward, most the unit from the 2018 team from Rio would be returning. The USA could play small and play two or three forwards on the floor at the same time. This could be the final appearance on the USA roster for Kevin Durant. He has two gold medals from the Olympic games, with three gold medals in total. Paul George's return to the team could also be in question. George suffered a terrible leg injury during the Blue vs. White team practice in 2014. 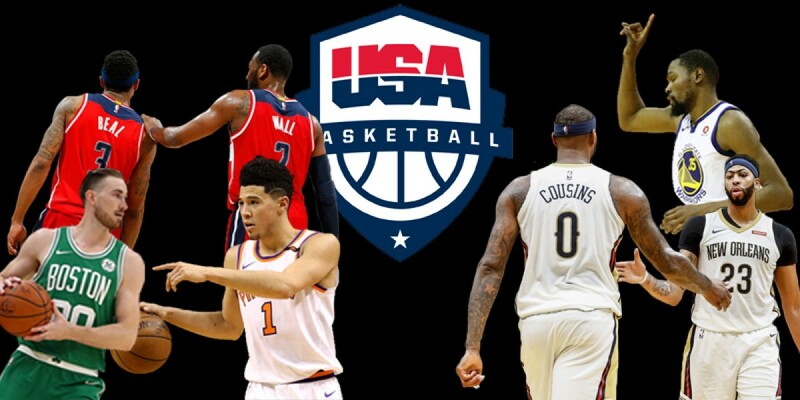 Anthony Davis and DeMarcus Cousins would be the only "centers" the USA team would carry. Both showed how great of a team they could be in New Orleans. Just imagine how great they would pair on a global scale.